New podcast from the State Bar of Texas provides value and entertainment to bar members. 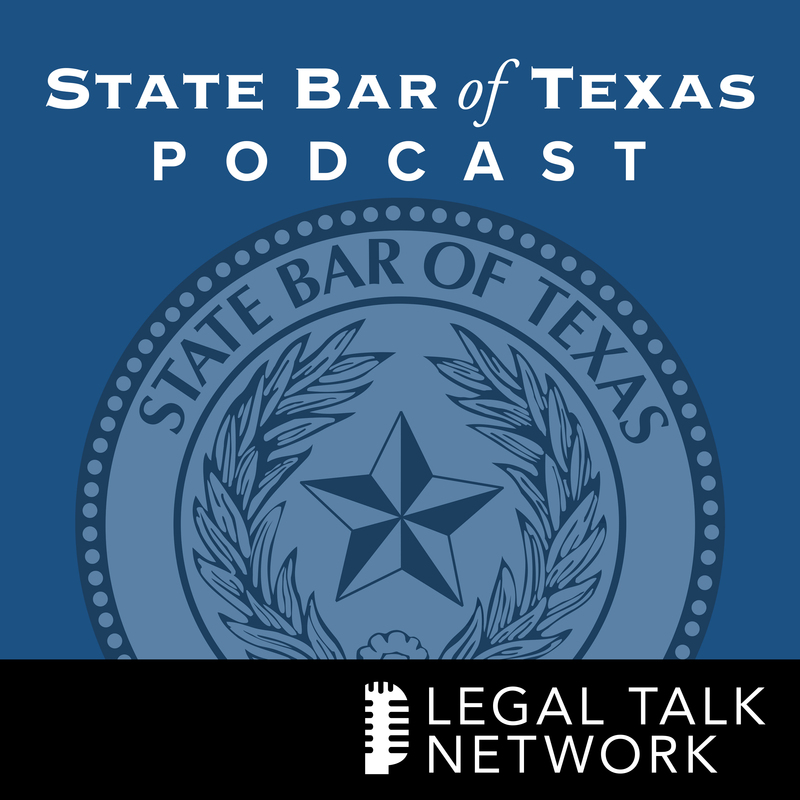 The State Bar of Texas, in conjunction with Legal Talk Network, launched a new podcast to provide information and value to bar members. The State Bar of Texas Podcast will provide monthly coverage on news and topics relating to the legal profession, with a focus on what matters to practitioners. “Being a lawyer—especially a Texas lawyer—can be fascinating, fun, and yes, fulfilling,” says host Rocky Dhir. “The State Bar of Texas Podcast aims to inspire and inform lawyers from across the country—and across the world—with compelling ideas, stories, and personalities that will help you grow your practice and build a better life. To me, the best part about this podcast is that it will engage non-lawyers as well and bridge the gap that can sometimes exist between attorneys and clients. You won’t want to miss this road trip through the world of law. After all, life's a journey." For more from this podcast, visit the Legal Talk Network. You can also subscribe on Apple Podcasts, Google Play Music, other podcast apps, or download the Legal Talk Network app.